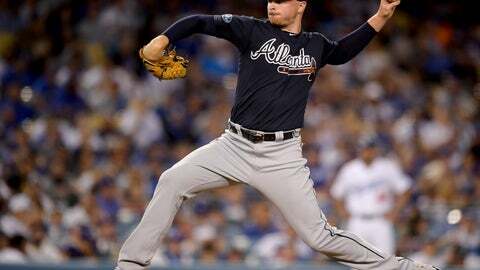 Sean Newcomb will start Game 3 of the Braves‘ NL Division Series against the Dodgers instead of Kevin Gausman. With Atlanta trailing 2-0 in the best-of-five series, manager Brian Snitker made the swap Saturday. The 25-year-old Newcomb came within a strike of throwing a no-hitter against the Dodgers at home on July 29, and also threw two scoreless innings in relief in the series opener Thursday. The Astros can sweep their ALDS in Game 3 on Monday. In the meantime, Miller and company get a day to correct a season’s worth of woes. The Indians‘ 4.60 bullpen ERA ranked 25th in the majors this season, and Miller was particularly ineffective amid three DL stints. Before Marwin Gonzalez’s two-run double Saturday, Miller had allowed just one inherited runner to score in his postseason career.